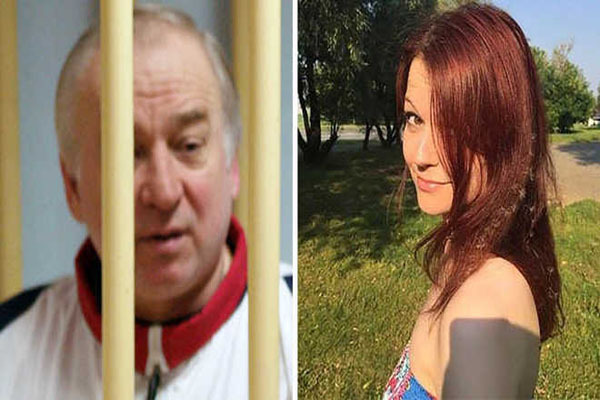 London(PTI): The UK government has confirmed that two guinea pigs were found dead at the home of the former Russian double agent who was found poisoned along with his daughter here last month. The UK’s Department for Environment, Food and Rural Affairs (DEFRA) also said that a cat found in a distressed state at the house in Salisbury was put down by a vet. The confirmation came yesterday amid concerns raised by Russia over the welfare of Sergei Skripal’s pets as Moscow continued to deny any involvement in the attack. “The property in Wiltshire was sealed as part of the police investigation. When a vet was able to access the property, two guinea pigs had sadly died. A cat was also found in a distressed state and a decision was taken by a veterinary surgeon to euthanise the animal to alleviate its suffering. This decision was taken in the best interests of the animal and its welfare,” a DEFRA spokesperson said. The information on the animals was today followed by a withering attack by Russia on the UK inventing a “fake story” and “playing with fire” over the poisoning in Salisbury, which the British government maintains involved a Russian-made deadly nerve agent. At a United Nations’ Security Council meeting today, Moscow’s Ambassador to UN Vasily Nebenzia said Britain’s main goal had been “to discredit and even delegitimise” Russia with “unsubstantiated accusations”. He said Novichok – the group of nerve agent the UK says was used in the poisoning – is “not copyrighted by Russia, in spite of the obviously Russian name” and has been developed in many countries. “It’s some sort of theatre of the absurd. Couldn’t you come up with a better fake story,” he questioned during his statement to the 15-member council. Britain’s UN representative Karen Pierce countered that the UK’s actions “stand up to any scrutiny”. Moscow had called the special meeting of the Security Council in New York to discuss the attack, saying Britain had “legitimate questions” to answer. Former Russian spy Sergei Skripal and his 33-year-old daughter Yulia were found unconscious on a bench in Salisbury on March 4. Yesterday, Yulia Skripal issued a statement from hospital to say her “strength is growing daily”. Her 66-year-old father remains in critical but stable condition in hospital at Salisbury. The attack has led to an escalating diplomatic crisis between Moscow and the West, with 60 expelled US diplomats leaving for Russia. More than 20 countries have expelled Russian envoys in solidarity with the UK, following Britain’s initial expulsion of 23 Russian diplomats. The UK government maintains that Russia is behind the attack, claiming there is “no other plausible explanation”. The Kremlin denies any involvement. Scotland Yard have said the Skripals first came into contact with the chemical at Skripal’s home after forensic testing showed the highest concentration of the substance was found on the front door. The house was a focus of police activity in the aftermath of the attack and was sealed off as investigators combed the property for clues.